Another year another great weekend at HempX Asheville 2017, North Carolina's largest gathering of hemp enthusiasts, entrepreneurs, and educators, all together for one great weekend of hemp. 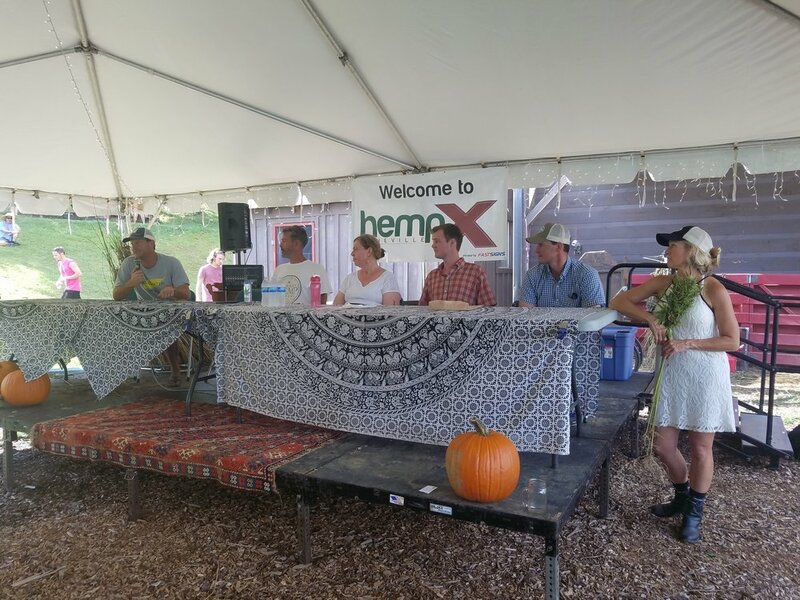 HempX Asheville 2017, was beautifully located at Franny's Farm in Asheville, NC where the event sat nestled between rolling hills of green. Classes were full this year between the hemp building seminars with Alembic Studios, educational sessions with the Founders Hemp, and Kentucky State University, and an informative panel with some of NC's first hemp growers in NC, including Jean Davis of NC State Research Station.